To get more information about Jio preview offer,read this article. Registrations for Reliance Jio's broadband service Jio Giga Fiber have started on August 15 and now the company is going to launch a 'preview offer' for its customers soon. The company has also given information about this offer on its website. Under this offer, customers will be given Jio Giga fiber service for free for three months. So today we are going to tell every important thing related to this offer. What is Jio Preview Offer ? Ans: The company has offered a 3 month preview offer for Jio Giga Fiber Service. Under this offer, users will be given 300 GB data for three months. Accordingly, 100 GB of data every month. What after 100 GB data is over? Ans: If someone finishes 100 GB of data every month, 40 GB extra data will be provided by the company. How much speed will you get in this offer? Ans: Users will get 100Mbps speed in preview offer. Ans: Yes, but for this the first users will have to deposit 4,500 rupees, which will be three refundable. What will happen after 3 months? Ans: If three months later users want to take this service, they can continue continuing, but if they do not want to take it then they can withdraw Rs. 4,500 from the company. 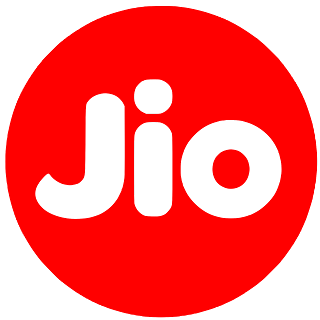 Ans: In order to take this offer, first of all, the Jio website has to be registered for Jio Giga Fiber service at jio.com. After this, the phone will come from the company for installation. Answer: To register for Jio Giga Fiber service, go to jio.com and enter home or office address, mobile number there. After this there will be an OTP on the mobile number, through which register your number and verify it. Will there be any charge for registration or installation? Ans: No, you can go to Jio 's website and register for free. There will be installation from the company for free. Registration has been done, how long will the installation be? Ans: Mukesh Ambani had said that installation of the fiber service will be done within one hour of booking. But he also said that the installation will be done first in the same cities where the highest number of registrations will come from. How different is the service of the rest of the broadband service? Ans: Broadband or internet connection requires fiber cables, but usually these fiber cables are outside any building or colony, and internet connections are delivered to homes only through common cables. This reduces the speed of the internet. But the fiber cable directly in Jio's Giga Fiber service will be delivered to the homes. Hope you like this article, then please hit the like button and comment your views in the comment box.